Last time, we posted about $1 fonts. 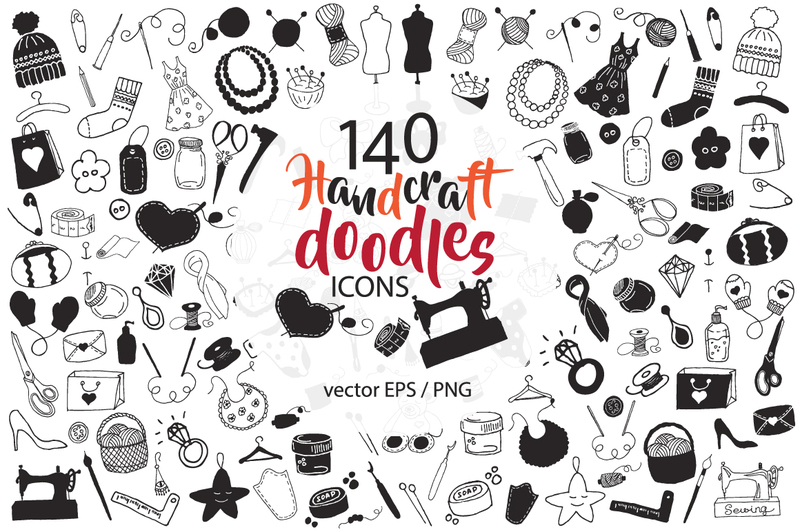 This time round, we’ll be sharing with you a list of super cute graphic sets for only $1 each. These are super duper in quality as well as quantity, so, definitely worth your money. You could even purchase a few without breaking the bank! 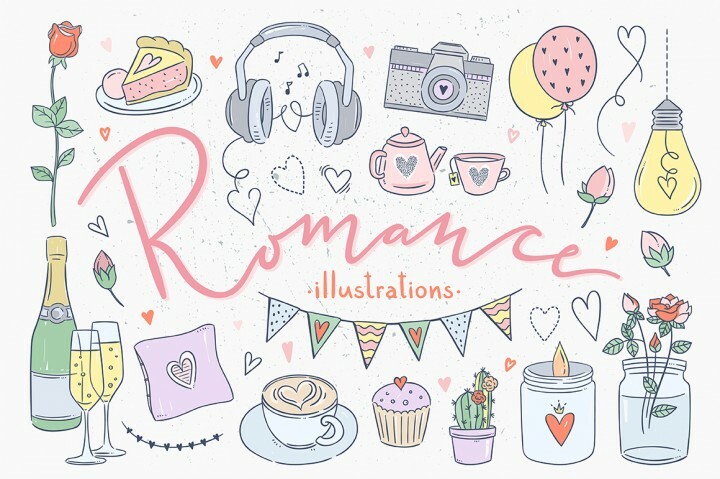 This gorgeous illustration set by Redchocolate Illustration comes with 38 elements, in EPS, PNG and JPG format. It gives off a super chill, calm Saturday afternoon vibe, with the candle especially. This little set would be great for decorating your journal, or even for scrap booking. 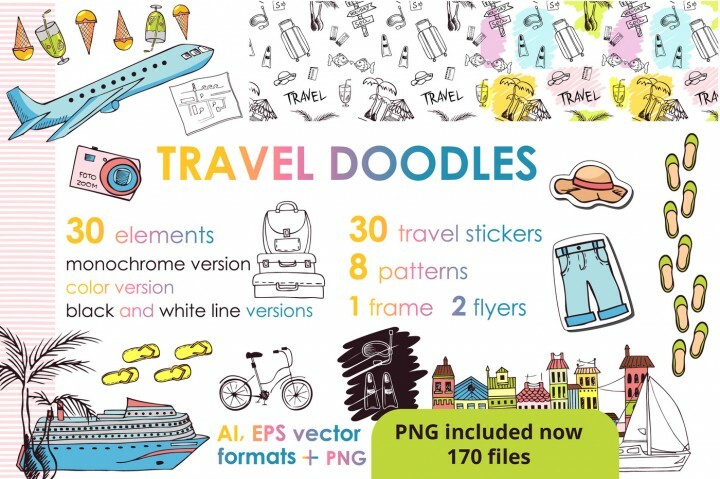 If travelling is one of your passions, then this Travel Doodle set is the bomb for you. 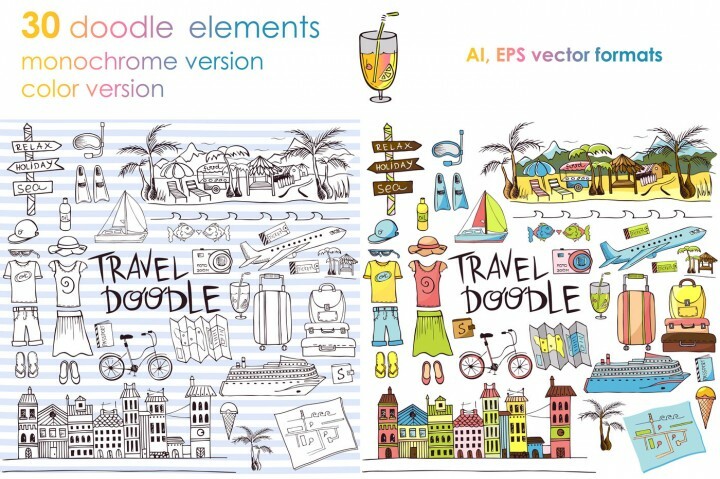 Doodled by Katiazhe, this set of 30 elements come in monochrome, color, as well as black and white versions. 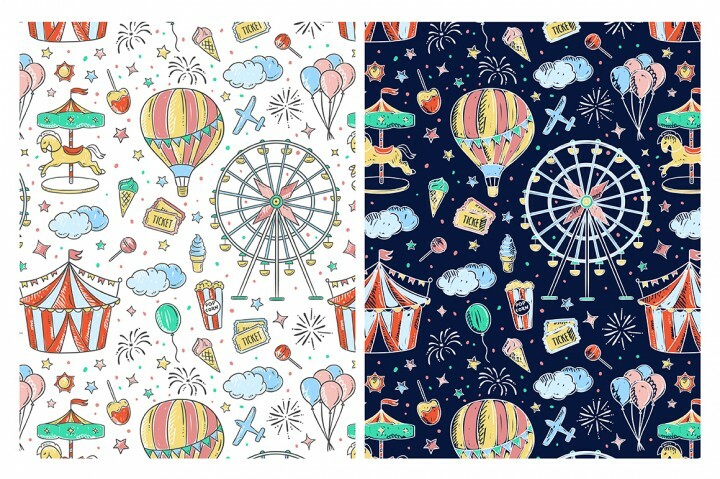 It even includes 8 seamless patterns in the set for just one dollar! 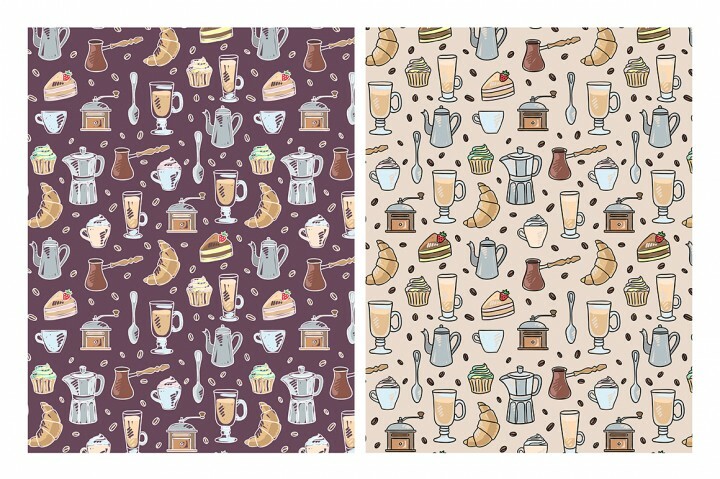 Here’s another cute set by Redchocolate Illustration, depicting the perfect coffee break . It comes with 2 seamless patterns as well, as seen above in the second picture. 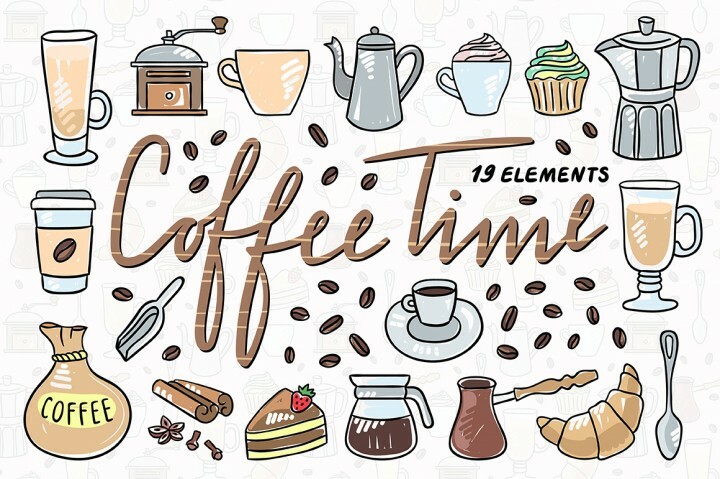 Great for designing gifts for coffee and tea lovers. 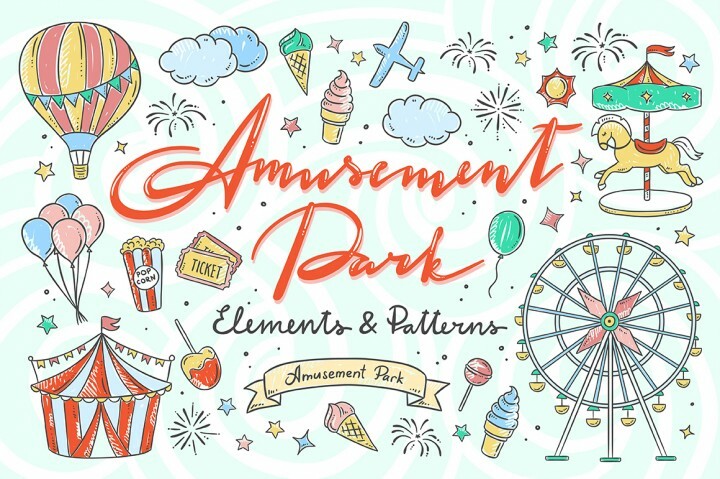 Redchocolate Illustration is a professional at creating these adorable sets with such good quality graphics in them, this is already the third one on this list and not the last 😉 Check out that Ferris wheel in the preview image, and the circus tent. So cute! How about a set of fresh fruits? 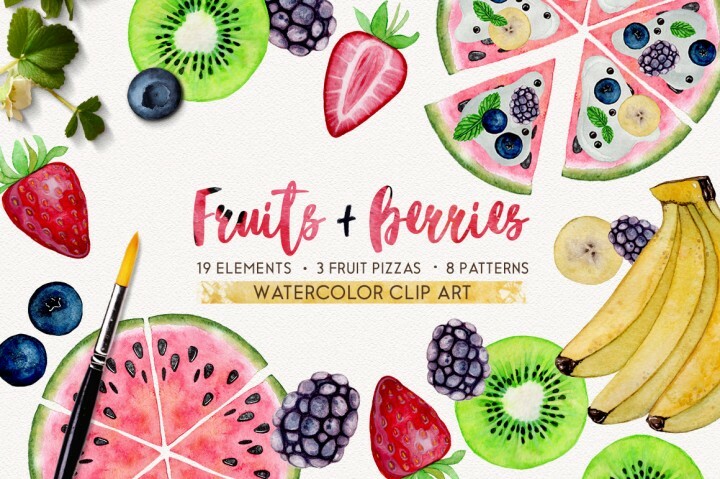 This realistic looking fruits and berries set by Smolova is perfect for the summer season. 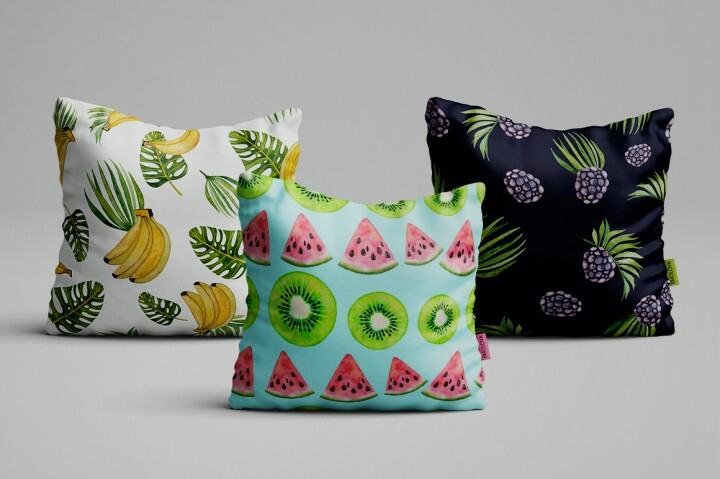 As you can see in the preview image above, it looks amazing as a pillow case design! 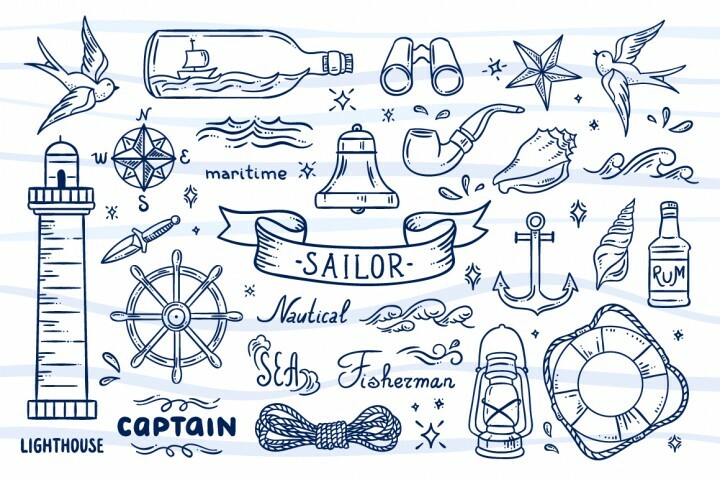 Are you a fan of the sea, or nautical patterns? Then this is the set for you. 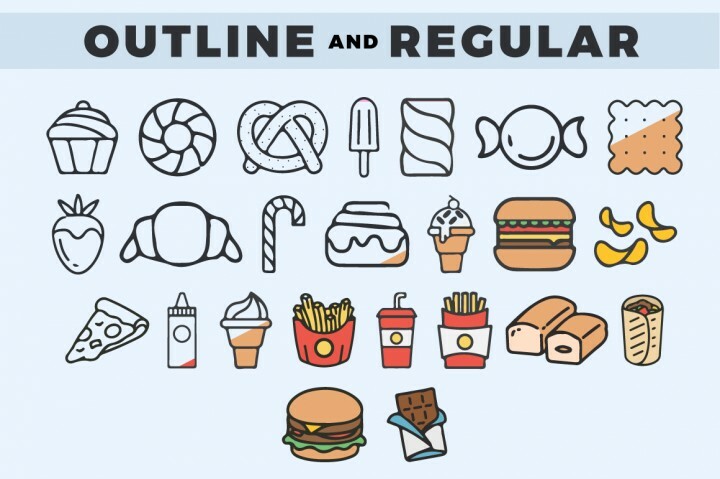 With detailed graphics that come both coloured and not, you can choose to colour it differently or to leave it as it is. 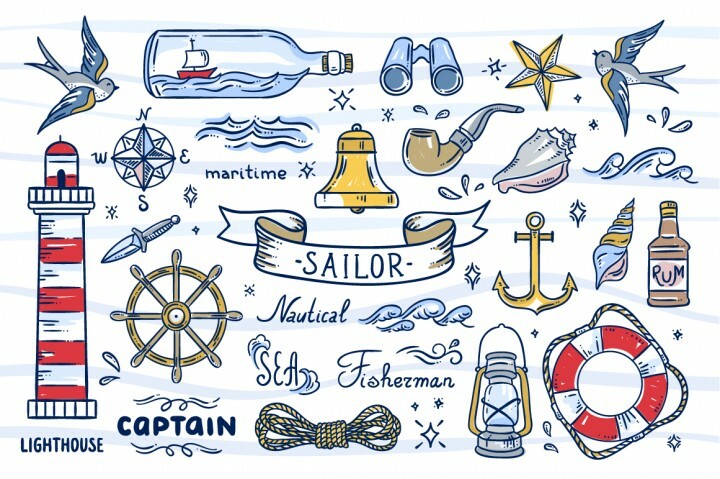 A wallpaper using these designs for a little kids room would be amazing as well. 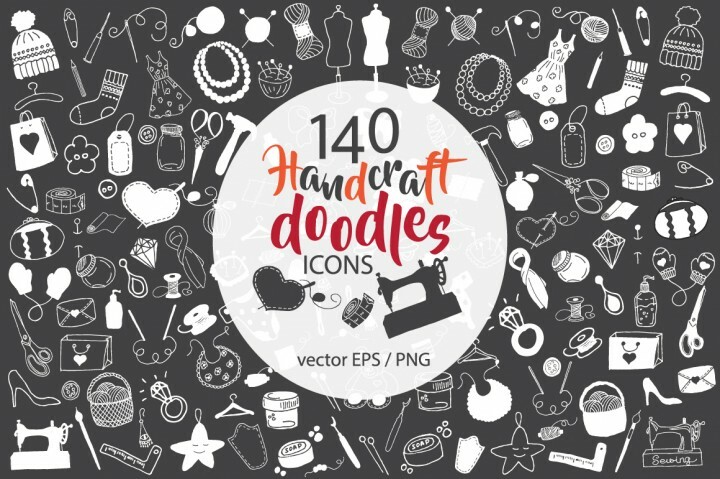 This humongous set by EvgeniiasArt of 140 doodles of crafting supplies and materials is the best thing ever for any crafter. 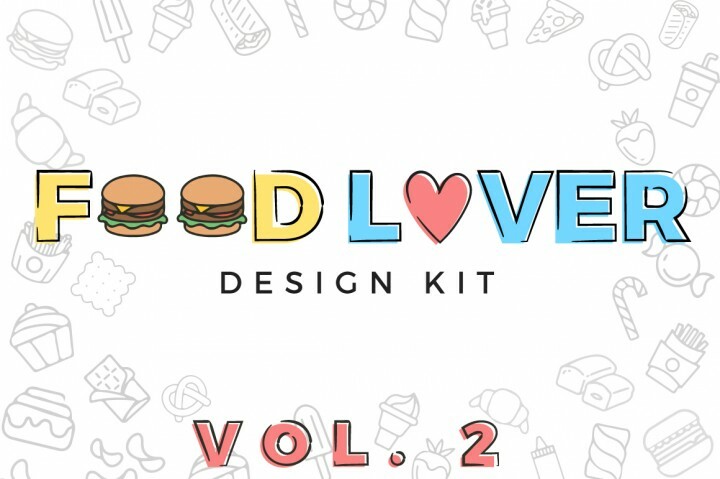 So many cute doodles in this set for only a dollar? We’re not kidding ! We do hope you leave this post with a little treat for yourself in your shopping cart 😉 Do check out our $1 Cursive fonts post here if you haven’t, because you’d definitely be missing out on some good deals if you haven’t! 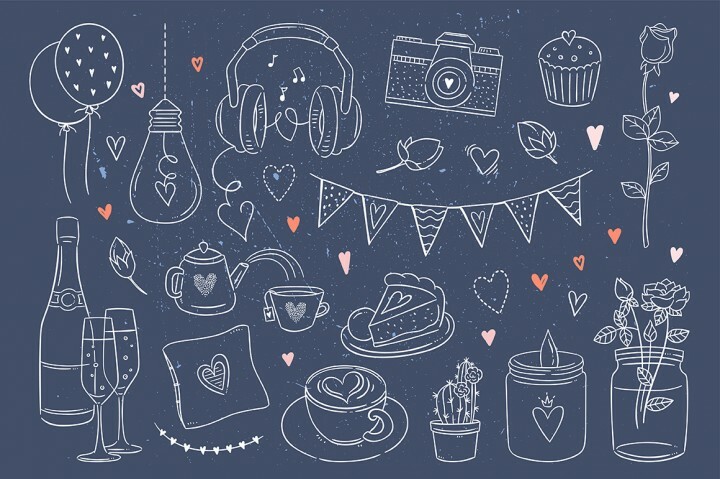 For a tutorial on how to use patterns in some of the sets, check out this guest post by Milowcostblog for inspiration! Share this post if you’ve found some super interesting stuff and want to let your friends know!